I'm all about object lesson's. 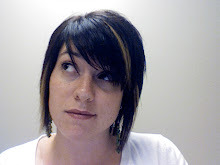 I'm not a visual learner, but I have a sister who's a visual learner.http://www.blogger.com/img/blank.gif As a result when teaching, and specifically when teaching kids I tend to think beyond my learning to style to other learning styles. I'm working on a lesson about Hearing God at the moment and have been drawn to a couple examples from Disney (go figure). In Disney's Bambi, throughout the movie, Bambi's father has been there for him when he needed him, such as when he loses his mother. But most of the time he allows Bambi to just learn on his own - always keeping a caring, watchful eye on him but not speaking unless he needs to. 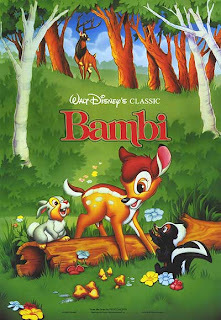 Bambi respects his father and knows he speaks only when it's important, and when he does speak, Bambi listens. He knows his father's voice, and though he doesn't hear it very often, when he does he hears and obeys. This saves his life near the end of the movie. The hunters have once again entered the forest. A bullet grazes Bambi and he's hurt. He lies on the ground, giving up. A forest fire has started, he's injured, and he just doesn't have the strength to try to find the way out. Suddenly, his father is there. His father's words are simple, yet direct and they save Bambi's life. Bambi would have missed out on so much if he hadn't listened to his father's voice and obeyed witout question, even when it was hard! 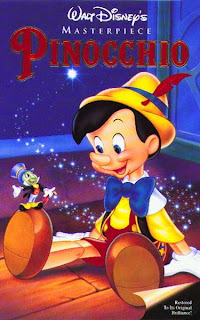 In Disney's Pinocchio, Pinocchio is a living puppet who must prove himself worthy to become real boy. Being quite naive he requires some guidance, and the Blue Fairy appoint Jiminy Cricket to be Pinocchio's conscience. At which point Jiminy Cricket breaks out in song telling Pinocchio that if he ever needs help or guidance to "give a little whistle...and always let your conscience be your guide." Special thank you to Walt Disney for helping the great illustrations!